Posted by Markus at 12:18 p.m. Anonymous Feb. 24, 2008, 2:26:00 p.m. Such a scenic area should be left untouched by man and machine. Very few places have been left as nature has intended because of human greed. 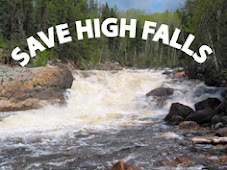 I for one would love to visit such an awsome place such as the Grassy river falls. Everyone should be against hydro development such as this one because its so small in scale and very little to gain from. Mr. Pekka Tuohimaa South Porcupine Ont. Save High Falls Feb. 25, 2008, 4:39:00 p.m.